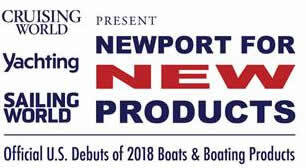 Newport Exhibition Group, owners and producers of the Newport International Boat Show, are accepting applications for the 2017 Newport For New Products (NFNP) Awards. Judged by a team of marine-industry experts, NFNP winners for best new powerboat, sailboat and multihull; best new navigation product; and best new product for boat operation, maintenance, and safety. New for 2017, the NFNP program will include a “Green” award. Each product accepted into the NFNP program will be eligible. One winner will be chosen for “Best Green Boat” and one for “Best Green Product” based on the environmental benefits and features of the entry. Winners will be announced on Friday morning, September 15th at the Industry Awards/Press Breakfast. In addition, attendees present on opening day will have the opportunity to vote for their favorite new boat as part of the ‘People’s Choice Award’. One voter will be selected randomly and receive a $250 American Express Gift Card. In its twelfth year, and in partnership with leading national marine publications, NFNP is a highlight of the industry, helping to publicize what’s new and exciting for boaters. The program is open to domestic and foreign products launched after April 1, 2017 that will make their official boat show debut at Newport. 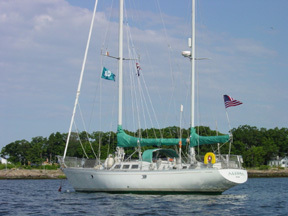 Foreign boats and products that have been shown and sold outside the U.S. are still eligible. Industry experts judge entries on the basis of innovation, value to the consumer, safety and aesthetics. The Newport International Boat Show will take place September 14-17, 2017 on the Newport Waterfront along America’s Cup Avenue in Newport, Rhode Island. One of the largest in-water shows in the country and the kick-off to the boat show season, the event will host exhibitors from around the world with an exceptional assortment of boats of every type and style, plus a variety of accessories, equipment, electronics, gear and services for boaters. For more information on the 47th Annual Newport International Boat Show and to purchase tickets, please visit www.newportboatshow.com.